We try to use fresh or frozen veggies as instead of canned goods at our house, for several reasons but the top of the list are there are not additives in them and frozen are frozen when ripe so I feel there are more nutrients in them. Beans however I could just not get a good handle on. 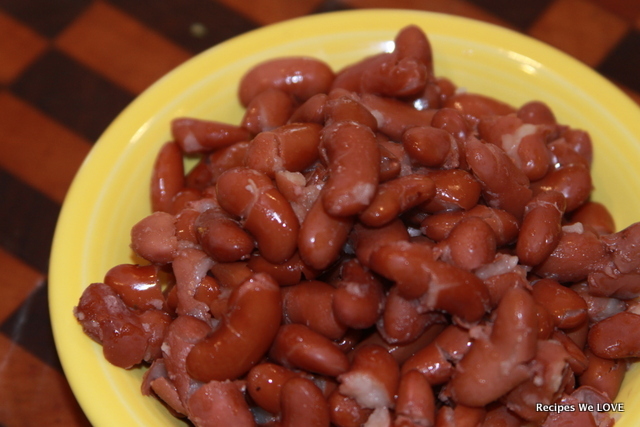 But I finally feel like I have the art of cooking dried beans down. So, I cook a bunch and freeze them so I can have them when ever I need them. 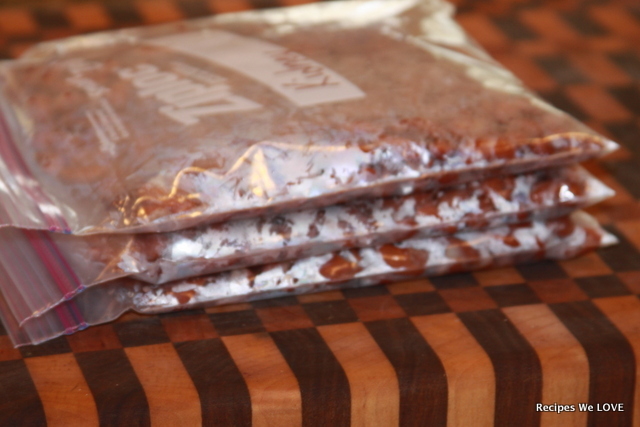 Soak dried beans in water overnight. I usually cover with water about 2 inches above the top of the beans. Then the next morning drain the water off and place the beans in the crock pot and cover with water again, also about 2 inches above the beans. Cook on low for about 8 hours with a couple diced garlic cloves. 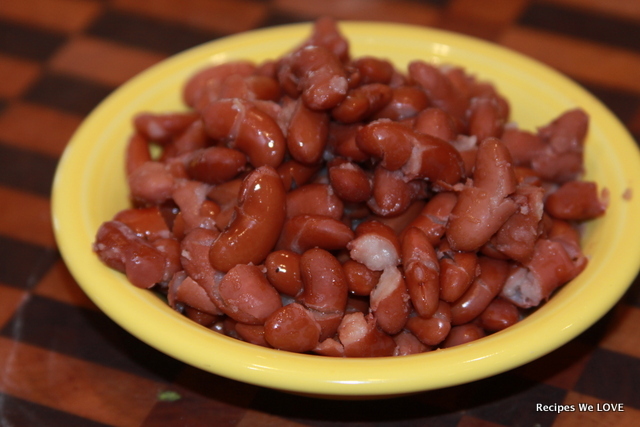 NO SALT (I have found it makes the beans tougher).